The Photograph by Grant Leishman is one of 20 books in the Big Book Giveaway that is currently under way. If you have a U.S. address, be sure to enter below for your chance to win a box of great paperback books. 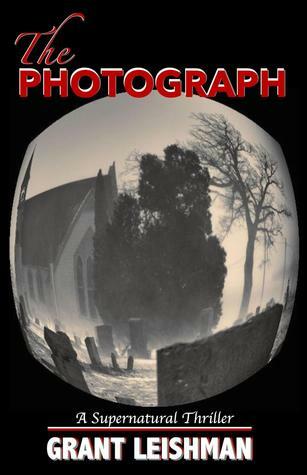 The Photograph is a newly released paranormal thriller. Leishman has also recently published a collaborative novel, Tortured Minds, with authors Colin Griffiths and Rachel McGrath. When Tony Logan discovers an undeveloped roll of film from the 1970's, he is excited to see what it contains. One photograph, in particular, will send Tony and his siblings on a desperate search for what really happened to their parents. From the 1300's until the present day, Tony will discover their family has been cursed. Was their mother truly dead? Their search for answers will envelop them in magic, witchcraft, the underworld and supernatural happenings. A page-turner that will keep you rooted to the book till the bitter end. 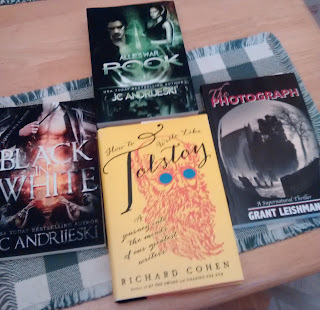 See the full list of possible books to win at the Big Book Giveaway event post. Awesome Donna - it looks great. Thanks so much. Awwww another giveaway, w00t! Going to share it now with my friends - good luck everyone who's entering it! Great book blurb! Sounds intriguing! Hope it does great! That is on my tbr list. 'Unfortunately' the weather is nice and the garden needs attention. Love Grant's writing. Best of luck with the giveaway!